In the last two years we got a lot of feedback from you and learned much about how CookDiary is used. With CookDiary 4 we tried to integrate this Feedback and grant the biggest wishes for the program we heard along the way. Please send us your feedback and help us to make CookDiary the best possible program for you. 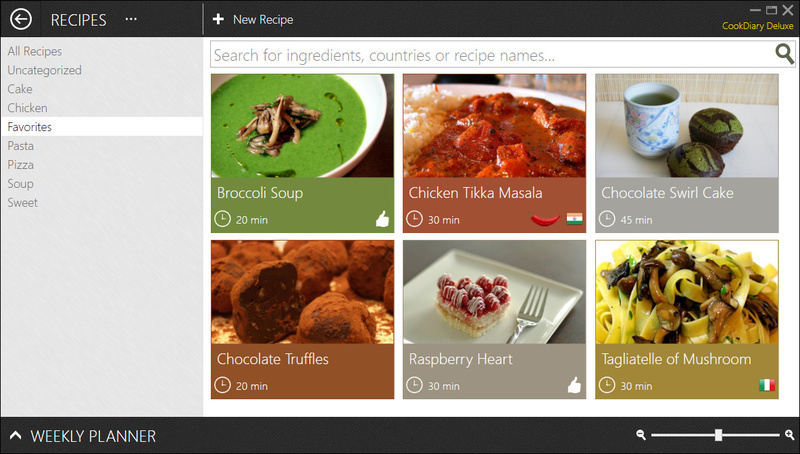 CookDiarys user interface has been modernized. It is streamlined more performant, nicer to look at and easier to work with. The most asked for feature is without a doubt a better recipe import. 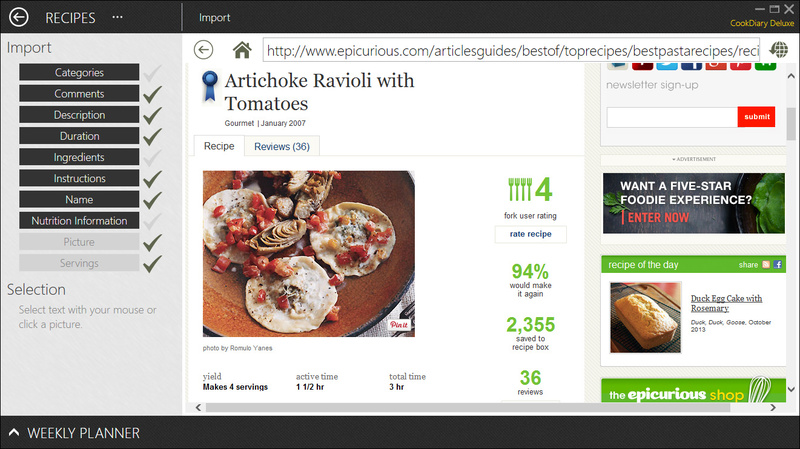 CookDiary 4 can import recipes directly in the program without the need to start an additional webbrowser. You just have to surf to your favorite recipe website, select portions of the recipe you want to import and assign them to the corresponding area (ingredients, instructions and so on). 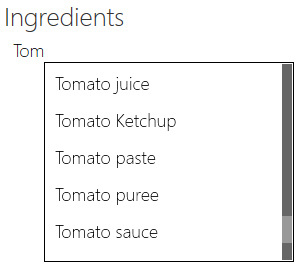 If you enter the first letter of an ingredient a list with popular ingredients is shown. You can enter more characters or select your ingredient from this list with the keyboard (press return to choose) or mouse (click). CookDiary 4 starts faster and runs more smoothly. Recipes are now saved in a new file format which produces smaller files. This prevents some problems with exotic special characters which could come up. Images in portrait orientation are now fitted perfectly. Many users did this manually with photo editing software before. 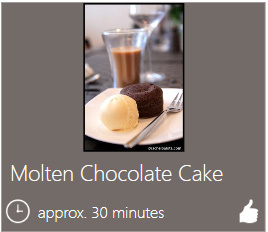 CookDiary now does this automatically for you. We utilize a new installation technology which allows us to install updates faster and without bothering you. This helps us to provide the best experience we can. We learned a lot through your feedback. Some of our changes affect rarely used features. We removed the meal planing since nearly all users ignore it and use the weekly planner to manage their meals. Until we update our mobile app we did deactivate SkyDrive and Facebook functionality. Further we removed the jumplist feature which improved CookDiarys performance a great deal. From CookDiary 4 on we support Windows Vista, Windows 7 and Windows 8. Windows XP is not supported anymore although most users shouldn’t have problems with it.